What are the benefits to autonomous vehicles and how are companies going to make money from these new inventions? Autonomous cars are no longer a fantasy. Analysts expect a massive boom in the autonomous vehicle industry in the near future, but before that can happen, certain pressing questions need to be addressed. Can we trust the safety of these cars? How will the introduction of autonomous vehicles shape the economic landscape, and how do we eventually deal with potential disruption in multiple transportation related industries? And how can the developers of the technology, specifically Google, monetize their research? The self-driving car trend has some encouraging statistics but some overwhelmingly negative qualities as well. According to Intel and the Strategy Analytics research firm, the large scale adaptation of autonomous piloting technology could boost the global economy by as much as seven trillion dollars. However, autonomous vehicles could also force about five million truck and taxi drivers out of a job in the United States alone . One of the main obstacles of self-driving cars is the notion that errors on part of the machine can cause fatalities that a human could potentially control or avoid. On a general note, for autonomous vehicles to be accepted by the public, the potential fatalities by the autonomous cars must be considerably lower than those driven by humans. The general population inherently distrusts automation, as they believe that these machines often do not account for sudden changes in the driving landscape. There is even a study that shows that people are less afraid of flying on airplanes than using a self-driving car. While the hurdle for companies to make the public trust this technology is huge, the quantitative evidence for self-driving cars is undoubtable. Waymo claims that the at-fault rate of the safest demographic of 60-69 year olds would be 10 times lower, while the rate for new drivers, who often have the most at-fault accidents, would be 40 times lower. In addition, there will be no drunk driving accidents that occur. One person every 50 minutes dies from drunk driving and by introducing these automated vehicles, the amount of fatalities due to DUIs would considerable decrease. Based on the graph above, it clearly shows that the Waymo autonomous cars are safer than the driving system that we have today and that through its implementation, there is a considerable decrease in fatalities, especially amongst the younger population. Because of the safety of the vehicles, many companies see the potential in this industry. The leading company in this industry is Google. Recently, Google’s self-driving division called Waymo was given the green-light by the local government in Chandler, Arizona to drive these new cars without a driver in the front seat. This shows that Google is getting more invested into the technology and that it is progressing quite rapidly. How is Google going to be able to make money, given the constraints that it faces with the public and the need to retain the reputation of the brand? First, they could license their product to other companies that make vehicles. This would mean that the other companies would have to pay Google to use their technology. ‘It would not be Google’s first bout with this kind of product licensing with the majority of their products. However, Google has a history of offering somewhat predatory pricing structures in their licensing deals, as has been seen with Android. With the exception of Samsung, these manufacturers tend to lose money, which makes companies steer away from this method. 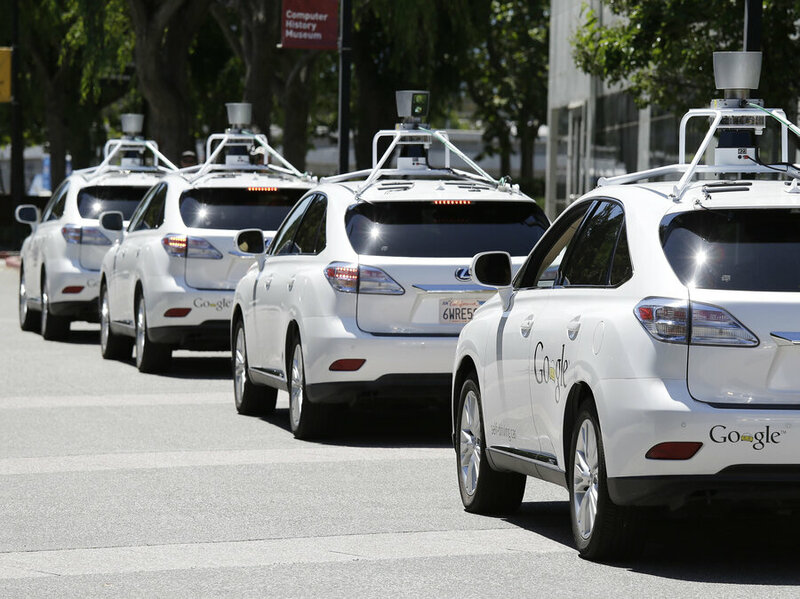 This may cause others to not trust Google’s licensing agreements for their autonomous cars. Second, another way that Google could potentially make money is to make their own autonomous vehicles and market these as new a brand in the automotive industry. This would be very difficult for Google to be profitable because of the sheer amount of competitors that are expanding gradually. Google could potentially fail in competing against the other companies who are aiming towards an automated future. Uber and General Motors are just a few companies that are trying to make money from this technology and have also made considerable steps into dominating the industry by developing unique capabilities. General Motors is already a well-established car manufacturer making the implementation of the technology much easier. Uber has so many different vehicles and can get data more readily than Google can without as much of an investment. Google, while it has made significant steps into perfecting the technology, has to figure out a solid way to make money or the millions of dollars of investment would just go to waste. Lastly, Waymo has shown preference to work with others to help implement this technology. Before Uber decided to go with their own self-driving services, Uber partnered with them to help in implementing the technology in the fleet of the Uber taxis and profit through the popular taxi service. In May 2017, Google announced a partnership with Uber-rival, Lyft, to help work together to collaborate with the automation sector. While the deal does not restrict Lyft to solely use Google’s services, by partnering with Uber-rivals and entering the taxi-sector, Google can be profitable, while simultaneously taking down Uber as its competitor. By using the automated cars through taxis, Google can make money and the over a billion dollar investment would be worth it. Google has various different routes to take with their self-driving technology and we’re excited to see what direction they choose to head in. The real question is whether the demand of the self-driving cars actually exists. There is obviously a lack of trust and every accident only adds fuel to the skeptic’s fire. Only time can change perception, but the technology must be near perfect to counter this heavy opposition. With so many different companies entering the market, this technology is bound to change the face of the transportation industry.